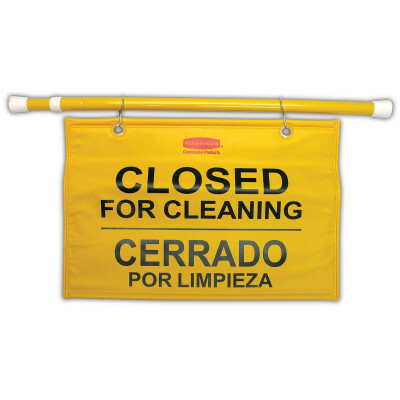 This collapsible hanging sign from Rubbermaid states that this room is closed for cleaning and effectively seals off entry ways up to 48" wide. This is one of the most effective floor safety signs we have available because it actually restricts access to the room. 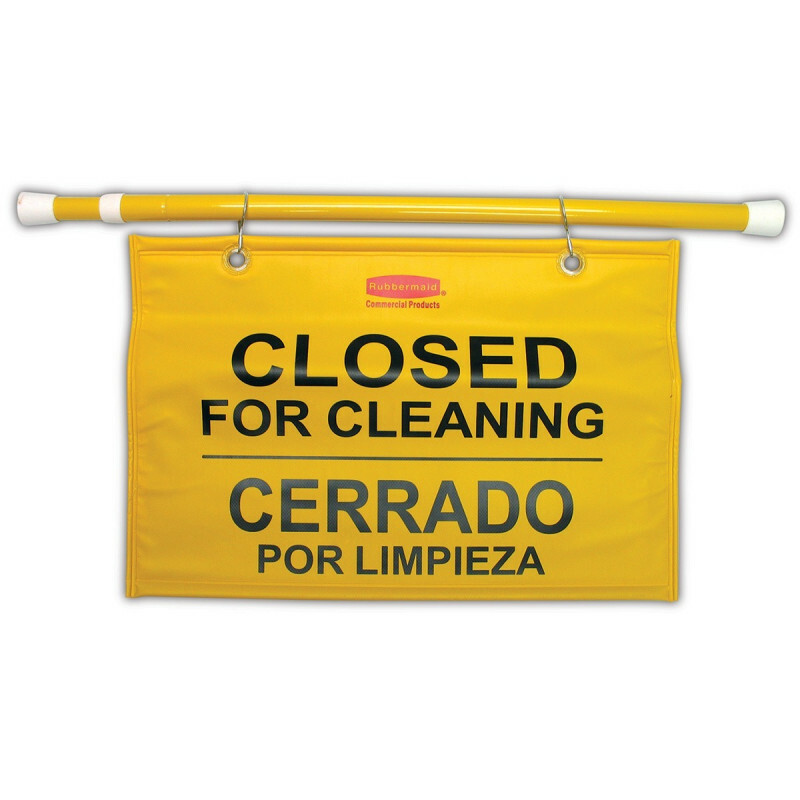 The soft pliable sign rolls up, and the pole collapses with just a twist of the wrist for easy storage. Customers who were interested in the Rubbermaid Hanging 'Closed for Cleaning' Safety Sign were also interested in the following items. This is a review for the Rubbermaid Hanging 'Closed for Cleaning' Safety Sign.